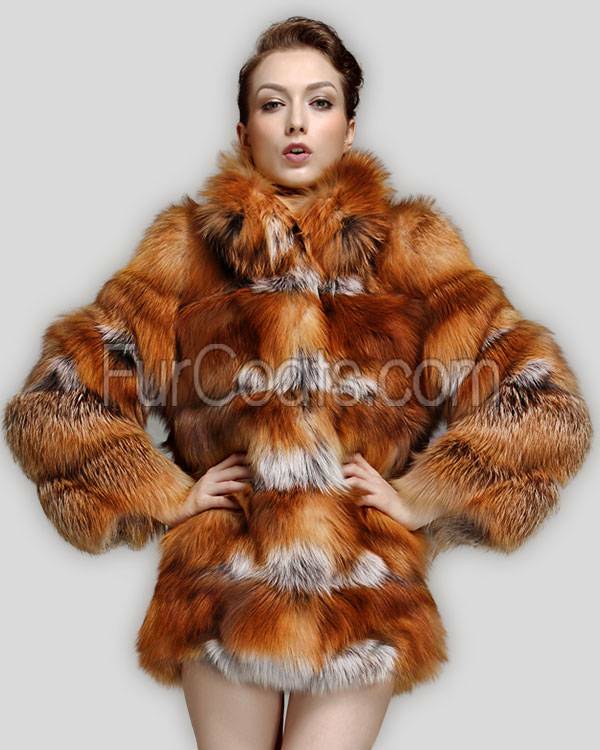 Today we have a sponsored post from FurCoats.com. Fur Coats specializes in quality fur coats and winter apparel accessories and is based out of Winnipeg, Canada. They pride themselves in quality fur apparel in the latest styles at factory prices. The majority of their items are made in Canada and the USA, depending on the product some are even made fresh when ordered and if so they take only 1-2 days. Quality is extremely important to them. They inspect every product before it gets shipped out and if you're unhappy then you can of course return it for a full refund which is really lovely. The majority of their products ship out of Winnipeg, Canada but they also have manufacturing and distribution in New York, New York. The products always ship with UPS within 1-6 days no matter where they are coming from. They are also very strict with their transactions and use a secured 128 bit encrypted secure servers and they also don't store any credit card information after a transaction is completed so there is never any worries of your credit card information being stolen. The main types of fur they sell are mink, fox, rabbit and lynx. They mostly sell woman's fur coats as there is one two selections for mens coats. Fur Coats prices vary between a couple hundred to a couple thousand and you can definitely expect the utmost quality, they come in sizes small to extra large. Fur Coats sources all of their furs from government regulated fur auctions and you can read more about that here https://www.nafa.ca/about/fur-facts! Mink fur coats start at $499.90, fox starts at $299.95, rabbit starts at $219.95, Lynx starts at $3999.95, the mens coats start at $499.95 and fur vests start at $65.95. They have a very detailed section on how to care for your fur coats and everything you can do to keep them looking brand new just like the day you bought it! They suggest things like making sure that the coat has enough room in your closet and to never keep it in a plastic bag, only cloth if it must be in one and to make sure it is not exposed to a lot of light because that will fade the furs. The furs are actually pretty durable and you just need to use common sense when caring for them. They like cold and not heat, or friction or chemicals. Smells really cling to furs which means that you shouldn't spray insecticides or perfume including cedar. Your fur can get a little bit wet and can handle snow and light rain. All you have to do is shake it out and hang to dry, don't blow dry it because the heat will dry out the furs. If however the fur has been soaked through bring it to a fur retailer for proper treatment. In the off season you might even want to take it to a local furrier to store it professionally. You can read more about the care instructions here http://www.furcoats.com/info/faq/care-questions/. If you're interesting on purchasing a fur coat I recommend checking out the website because they have so many beautiful options if that's something you're interested in!